Last week, I began rehearsals for The Critic with Rough Magic Theatre Company. I’m currently studying English and Drama in UCD and always eager to gain new experiences in the world of theatre. So naturally, when I heard one of Ireland’s leading theatre companies were looking for student actors to be involved in their latest production, I jumped at the opportunity to be involved. 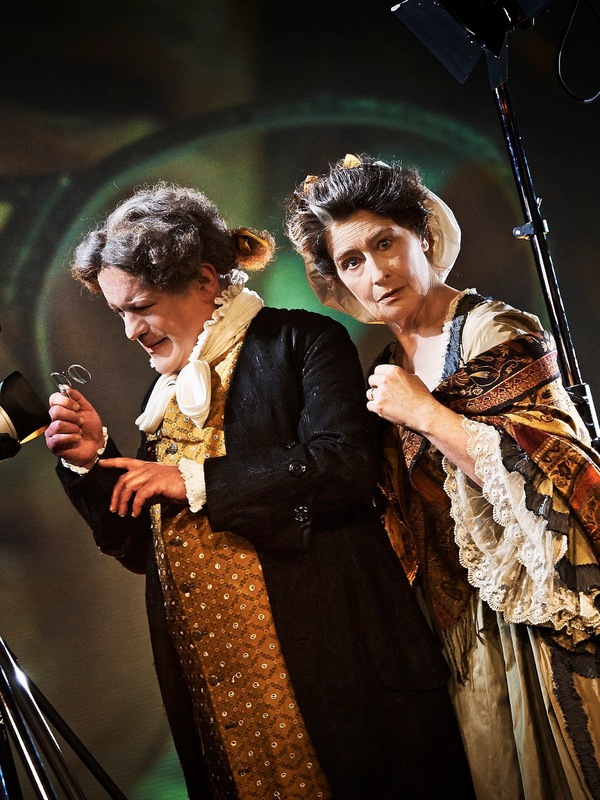 The play itself is an 18th century comedy by Richard Brinsley Sheridan, which focuses on a day in the life of theatre critic Mr Dangle, his wife and his interesting array of theatrical acquaintances. It is very much a comment on theatre culture at the time and Rough Magic’s production seeks to showcase this while also making it relevant to a 21st century Irish audience. 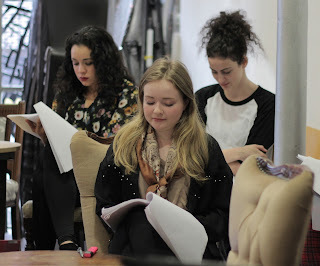 On Monday, the whole cast and crew met up in Culture Box for a full read-through of the script, which I have to admit was a little daunting. The cast consists of six of Ireland’s finest professional actors and 31 students (20 from the Gaiety School of Acting, 10 from Trinity and me, the lone ranger from UCD). So, when entering the packed Culture Box, it was easy to feel a tad overwhelmed. However, after the introductions were made, the laughs were had and the read-through had taken place, my fears quickly went away as the room was filled with energy and excitement for the journey ahead. In The Critic, I will be playing the role of the servant/aspiring actress working in the Dangle household in Act 1 and so I am currently attending rehearsals for this section along with the professional cast. It has been inspiring for me to be able to watch how director Lynne Parker works with the cast in order to transport the play from the page to the stage in the space of a few days. The week began with table work which involved teasing out different ideas each person had about the script and the different characters in it. Doing this really allowed us to discover the fun in Sheridan’s language and to relate it to a contemporary audience. On Day 3, we got the play on its feet and began blocking the action. How we work with the architecture of Culture Box is an important aspect to consider in terms of what works best for the audience, so we played around with characters’ entrances and exits to see what was most successful. Throughout the course of the week I got to try out different interactions between my character and the other actors, which was very enjoyable and I now feel I have a better idea of how she should be played. After just completing the first week of rehearsals I am amazed at how much I have learned and how much the show has evolved in such a short space of time. I am now feeling very excited for the weeks to come and feel confident that this will be an amazing show!